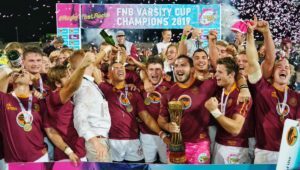 UCT host Maties in another Varsity Cup derby in Cape Town on Monday, while UWC face Shimlas, Tuks take on UJ and Wits take aim at CUT. 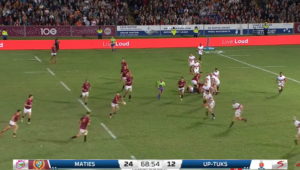 In a second Cape derby in two weeks, Ikeys will brace for a physical onslaught from Maties following their first-round victory against UWC. Both teams are coming off lucky escapes. 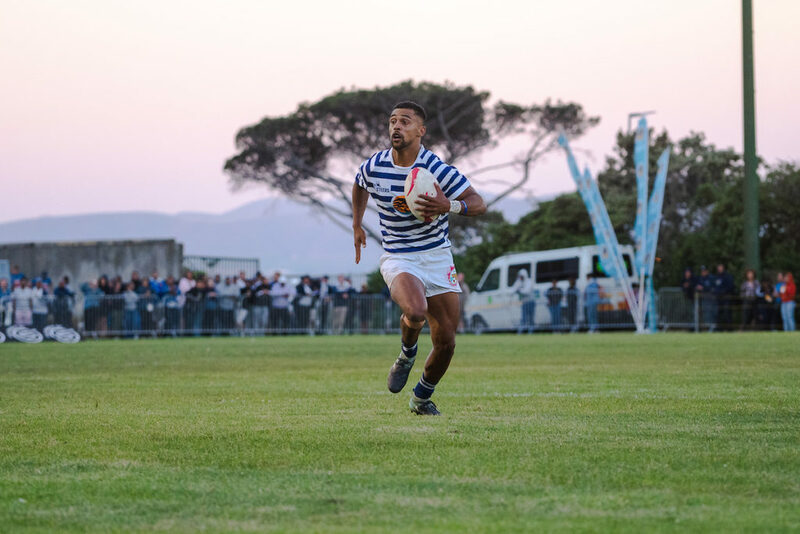 UCT needed a late try to negotiate a 32-24 win over UWC, while the defending champions were almost shocked by a rambunctious Wits side, who were able to match the men in maroon try for try, with the consistent boot of flyhalf Jordan Chait saving the Maroon Machine. Ikeys, however, were hit with an injury blow with the news that captain Nama Xaba will be out until the playoffs with an ankle injury he sustained in the opening round. Flank Josh Moon will lead the team against Maties on Monday. Moon explained that his side are aware of the dangers Maties present, but added that they are looking to play their natural game come Monday night. ‘It was big to lose Nama, he’s a huge player in our team and massive leader, so it’s a massive loss,’ Moon said. ‘But the show must go on, and I wish it was under better circumstances, but I’m excited to lead the team. I pray for a speedy recovery for Nama, and hope he comes back stronger than ever, he’s that kind of person. 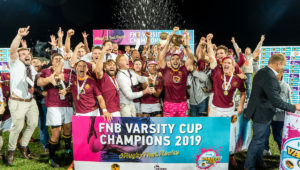 ‘We are aware that Maties have been a strong side throughout the Varsity Cup competition, but our week preparations aren’t focused on the opposition. We are focused on anyone we might encounter on the Monday. We’ve obviously done our game prep, but the focus hasn’t really been put on them. Maties skipper Johan Momsen rued their poor set pieces in their game against Wits, but is excited about their clash with their Western Cape counterparts. ‘In the first game against Wits we were a bit rusty. We were not happy with our set piece, but it’s nothing we can’t fix. After all, we were happy with a 16-point win against a strong Wits team, especially taking into mind we didn’t perform to our standards at all. Monday will also see a trans-Jukskei derby as UJ, looking to bounce back from their opening loss to Pukke, welcome the Pretoria-based Tuks to Johannesburg. UJ skipper Adriaan Bester wants to build on some positive signs from last week and be more accurate against their provincial rivals. ‘For the very inexperienced side we have, we surprised ourselves in moments when we actually played some rugby, there are a lot of positives for the team to build on despite losing. 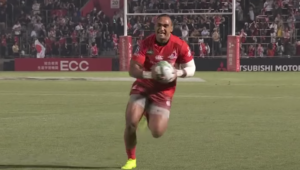 Tuks, meanwhile, beat a brave CUT team 23-6, a score that flattered the men from the capital. They will look to be more convincing on Monday. Tuks captain Marius Verwey rued some basic errors against CUT. Earlier in the day, UWC will play at home for the first time in the Varsity Cup against Shimlas, who will want to open their account with a win after having a bye in round one. Meanwhile, Wits will target a more clinical goal-kicking performance against CUT. UWC – 15 Tristan Leyds, 14 Juanre de Klerk, 13 Lubelo Scott, 12 Lyle Hendricks, 11 Andre Manuel, 10 Aidynn Cupido, 9 Clayton Daniels, 8 Adrian Paarwater (c), 7 Reece Bocks, 6 Tyler Gessler, 5 Curtley Thomas, 4 Matthew le Roux, 3 Justin Theys, 2 Jacques van Zyl, 1 Luvo Bazi. Subs: 16 Luan du Randt, 17 Dandre Degenaar, 18 Jean-Louis de Lange, 19 Joel Paarwater, 20 Moegamat Labib Kannemeyer, 21 Keagan Fortune, 22 Luke Cyster, 23 Hendrick Calitz. Shimlas – 15 Sechaba Matsoele, 14 Cham Zondeki, 13 Kurt Eybers, 12 William Eybers, 11 Marnus Boshoff, 10 Justin Taylor, 9 Izak Burger, 8 Mihlali Peter, 7 Henk Pretorius (c), 6 Janco Cloete, 5 Mervyn Roos, 4 Sibabalo Qoma, 3 Ruan Kramer, 2 Hanno Snyman, 1 Bhekinkosi Qaba. Subs: 16 Wihan Marais, 17 John Fincham, 18 Thembinkosi Mangwana, 19 Olehile Losaba, 20 Menze Nhlabathi, 21 Rewan Kruger, 22 Ruan Henning, 23 Charl Pretorius. UJ – 15 Odwa Nkunjana, 14 Tyreeq February, 13 Siphesihle Radebe, 12 Cyprian Nkomo, 11 Shaun Williams, 10 Jeanluc Cilliers, 9 Jack Hart, 8 Dian Schoonees, 7 Edwin Jansen, 6 Ngwekazi Ncusane, 5 Tyler Brown, 4 Adriaan Bester (c), 3 Stephen Bhasera, 2 Willem du Plessis, 1 Kayden Kiewiet. Subs: 16 Hloni Mphuthi, 17 Pierre Rabie, 18 Coenraad Vrey, 19 Siyabonga Masuku, 20 Siyabonga Luwaca, 21 Johan Esterhuizen, 22 Darryle Kameel, 23 Tatendaishe Mujawo. Tuks – 15 Vaughen Isaacs, 14 Dewald Naude, 13 Erich Cronje, 12 Wian van Niekerk, 11 Ciaran Dayaran, 10 Tinus de Beer, 9 Theo Maree, 8 Denzel Hill, 7 Ewart Potgieter, 6 Stephan Smit, 5 Marius Verwey, 4 Ruan Nortje, 3 Jean-Pierre Smith, 2 Werner Fourie, 1 Etienne Janeke. Subs: 16 Llewellyn Classen, 17 Jacobus Eloff, 18 Bart le Roux, 19 Brian Leitch, 20 Romeo Eksteen, 21 Damian Bonaparte, 22 Irvin Ali, 23 Hanru Sirgel. Wits – 15 Christian Humphries, 14 Kwanele Ngema, 13 Yanga Hlalu, 12 Adriaan van Blerk, 11 Sicelo Champion, 10 Kurt Webster, 9 Morne van den Berg, 8 Phillip Krause, 7 Cal Smid, 6 Constant Beckerling (c), 5 Conor-Terrah Brocksmidt, 4 Kevin du Randt, 3 Reynard Cronje, 2 Justin Brandon, 1 Bhekisa Shongwe. Subs: 16 Craig Hume, 17 Luyolo Qinela, 18 Ebot Buma, 19 Pascal Snyman, 20 Sipho Siboza, 21 Ruan Cloete, 22 Daniel Kasende Kapepula, 23 Neil Nyemba. Subs: 16 Ruben Cross, 17 Quintin Vorster, 18 Tebogo Masemola, 19 Stefan Kruger, 20 Johannes Terblanche, 21 Estiaan van Rensburg, 22 Johannes Nel, 23 Mazithulele Nkosi. Subs: 16 Brenton Greaves, 17 Ntandoyenkosi Mpofana, 18 Simon Raw, 19 Gary Porter, 20 Tawanda Mutuma, 21 Kyle Bowman, 21 Lance Steytler, 23 Jonathan Bredell. 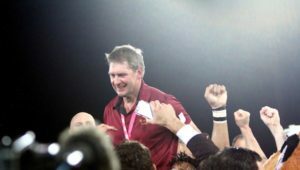 Maties – 15 Edwill van der Merwe, 14 Duncan Saal, 13 Cornel Smit, 12 Chris Smit, 11 Munier Hartzenberg, 10 Jordan Chait, 9 Logan Boonzaaier, 8 Stephan Streicher, 7 Ernst van Rhyn, 6 Johann van Niekerk, 5 Johan Momsen (c), 4 Sesink-Clee Jordan, 3 Piet-Louw Strauss, 2 HJ Luus, 1 Ricky Nwagbara. Subs: 16 Dan Jooste, 17 Wayrin Losper, 18 Leon Lyons, 19 Ben-Jason Dixon, 20 Mitchell Carstens, 21 Brendon Nell, 22 Reinhardt Fortuin, 23 Adrian Seerane.